Introduce your friends and family to your very own Monster Grillz – a jumbo size pencil pouch brimming with personality! This jovial creature will help you stay organized while guarding all your essentials inside the roomy interior measuring 23cm in length, 15cm in height, and 2cm in depth. ZIPIT Grillz Jumbo Pencil Case makes a one-of-a-kind gift that will help your family and friends stay as organized as you are. The beautifully made, clever design makes it something you’ll be proud to give on any occasion. 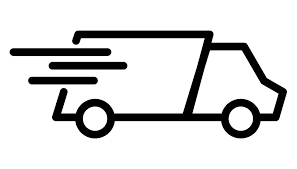 ZIPIT is available in over 30 countries. We work hard to design practical products your whole family will love. Every ZIPIT Grillz Jumbo Pencil Case is carefully made, goes through a multi-stage quality assurance process, and comes with a lifetime warranty against manufacturer defects. 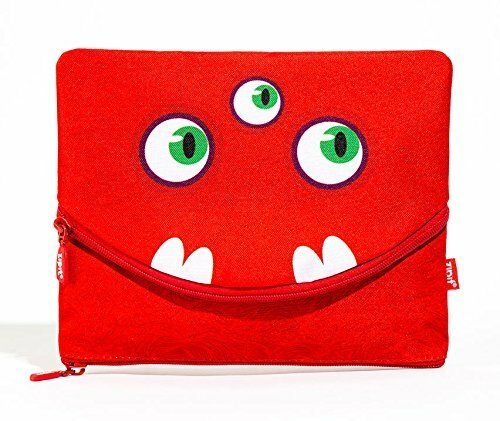 PLAYFUL AND FUN – A jumbo pencil pouch and smiling Monster character in one! Choose your favorite color and have a unique friend to help you stay organized all year long. MADE OF ONE LONG ZIPPER! – Clever design features one long zipper that can be fully zipped and unzipped! 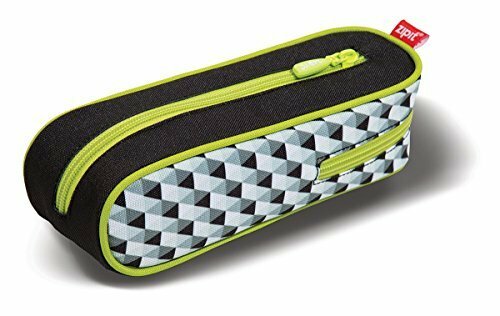 It’s a big pencil case for boys or girls and makes a perfect gift for any occasion. JUMBO SIZE – Stay organized in a big way! With generous proportions and an extra wide, 9.8″ zippered opening, you’ll have plenty of room for all your essentials. Fits 45-50 pens and pencils and can be used as a makeup bag, cell phone bag or money bag. 100% POLYESTER – This big pencil case is carefully created using sturdy, durable polyester fabric so it’s made to last. EASY CARE – Your ZIPIT Grillz Jumbo Pencil Case can be machine washed on the gentle cycle. For best results, zip it completely before washing and use a maximum water temperature of 30°C/86°F. Lay flat to dry.